Spilsby has given the thumbs-up to a plan to transform the town into a playground of light. About 50 people turned up for a preview of what visitors can expect at St James Church on Wednesday. Simon Hollingworth, Creative Producer of the two-day Spilsby Light Night festival planned for next month said he was delighted. “Around 50 people showed up which we were very chuffed about,” he said. Spilsby Light Night is promising “something cool, exciting and a little bit different”. Projected light will add artwork and colour to some of the town’s best-known buildings and landmarks. The project is being run by the Different Light Collective and is being funded primarily by Arts Council England, with a £400 donation from Spilsby Town Council which was presented at the preview. Simon Hollingworth and Andy Johnson-Smith came up with the idea last summer, and have taken the project forward following on from discussions with Bruce Knight at the Spilsby Sessions House. On each of the two nights there will be a trail with lighting projections and sound effects made by professional artists and technologists on view at venues and buildings across the centre of the town as well as artwork by local groups, including children and students from the town’s schools. Mayor Coun Mark Gale said the council was delighted to support the project. He said: “This is a pilot scheme and we think other towns will follow when they see what we have achieved. Spilsby Light Night takes place on March 8-9. 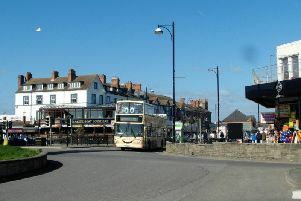 To find out more visit www.different-light.co.uk or look for Spilsby Light Night on Facebook and Twitter.